Leukemia Fighter! (CML); I Am Dancing and Traveling My Way Through: Five Year Cancer-versary and Thoracentesis Results! Five Year Cancer-versary and Thoracentesis Results! Maybe I should mix up my own remedy! 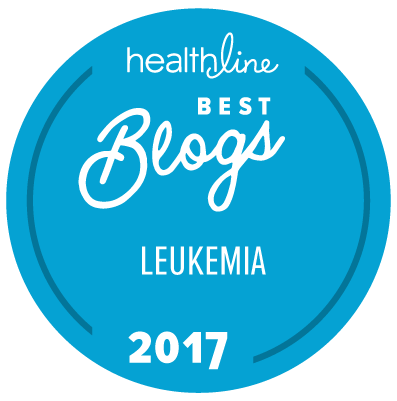 It is hard to believe that I have been battling chronic mylogenous leukemia, for five years! I still remember the phone call, "Michele, I am sorry to tell you this, but you have leukemia." Since that moment in time, I have become educated in the disease and treatment options, and encouraged others to become their own self advocates. Understanding CML and its' treatment is of utmost importance. That being said, it has been a roller coaster of a ride! Good days, bad days, scary days and great days. I am grateful to still be here and enjoying my life despite the new challenge that is currently taking over my mind. It seems that one of my greatest fears, of developing additional health concerns, has become a bit of a reality. I remember asking whether or not my life saving treatment could lead to other cancers, or health issues. The answer that I was given was that they really just do not know. After several routine medical check-ups, and an elevated CA125, I had a chest and abdominal CT scan. This scan revealed pleural effusions, from the Sprycel and a small spiculated nodule, on my right lung. My left lung was drained last week, and I received great news, on my five year cancer-versary; no cancer in the fluid! One victory in this new, two step battle! I thought that it was ironic, to receive that news, on that day. The next step, and more concerning battle is the nodule; my films have been sent to the pulmonary nodule committee, here in Boise, and I have an appointment next week to discuss the the plan of attack. I have been a good girl, and have yet to Google "spiculated nodules" and am just praying that this too will be a victorious; no cancer nodule. The very worst part of this whole process is the waiting. I never dreamed that I would actually ever face the possibility of yet another cancer; I figured that I had already taken the bullet by living with a chronic cancer, and that I was done. I am trying very hard to not focus on the what ifs' and I keep telling myself that this nodule is going to be benign, and that everything is going to be alright. But, I must admit, there is a part of me that is frightened; I just do not want to play this game! I suppose I will just have to stick my head in the sand for the next week, and then deal with whatever the physician recommends. Until then, I am thrilled that after five years of living with CML, my PCR is .06 and under control; I am grateful for the research and development of TKI's and the opportunity to have been blessed to be able to benefit from them. I continue to pray for strength and guidance and appreciate all of those who read my stories and are such a great support. Many prayers coming your way! You've been in them for a long time, we'll put in a bit of extra prayer time, God understands when I ramble on and on! Good for you for not googling! It's a great idea NOT to, I don't know if I have that self control. Sending love, prayers, and many hugs. You've come a long way, we'll be chatting still in at least 55 more years. Love to you Michele! Still Riding the Silver Hair Train!